Baron, who started as a summer associate, has been at the firm for 15 years. The daughter of a lawyer, Baron always loved being an advocate. “I constantly went to bat for my younger sister … or whatever the cause of the day was in our household,” she said. She was drawn to labor and employment because she liked the balance between counseling and partnering with clients on day-to-day issues and getting the chance to litigate. “(A)lmost all businesses deal with labor and employment issues, providing a wide market of clients. Because the issues also tend to be highly personal, you often form a close relationship with clients,” Baron said. Brown was part of a team of attorneys that opened the firm’s Baltimore office last year. Growing up, Brown used to watch every lawyer TV show he could find. “As a child my mother always told me I was going to be a lawyer,” he said. Brown said he always wanted to be a trial lawyer. “That always seemed to be the most exciting area of the practice of law. After 30 years I still love it,” he said. Colton has been at Hogan Lovells for 15 years. 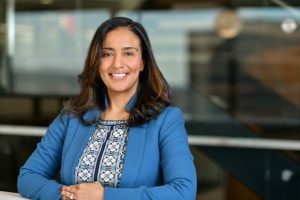 She started her legal career practicing product liability and medical malpractice defense, as those areas allowed her to use her science background. Growing up, Colton watched the impact her grandfather, a lawyer and a judge, had on his clients. “Whenever we would shop at a local store or have lunch in the neighborhood, we would inevitably run into his clients, who would eagerly share stories of how my grandfather had helped them out of a difficult situation,” Colton said. Her interest in the law grew in high school after she heard Supreme Court Justice Sandra Day O’Connor speak. That experience “validated for me that women could not only thrive in law, but reach the pinnacle of the profession,” Colton said. Gloor has been at the firm for four years. She began her career as a general commercial litigator. A few years later, her firm was defending a broker-dealer in a series of arbitration cases and Gloor found she had an affinity for broker-dealer work. She was in-house for two different broker-dealers for a decade before deciding to go into private practice. 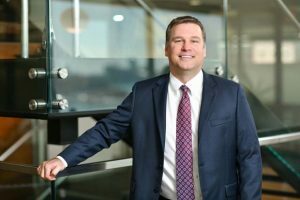 “By the time I decided to go back into private practice, I had deep knowledge that I could use for the benefit of other broker-dealers and investment advisers — now the focus of my practice — and a solid network of in-house counsel and securities professionals who refer work to me,” Gloor said. In his practice, Gorra has learned the benefit of consensus building and negotiation as a transactional lawyer and likes the fact that it gives him the opportunity to help his clients “build things” – value, business lines and new markets, among others. He knew he wanted to be a transactional lawyer after working on an IPO as a summer associate. “I was hooked. From that point forward, I knew I wanted to be a transactional lawyer,” he said. Hardy was drawn to a career in law after working as an intern on Capitol Hill in college and getting an “insider’s look” at the intersection of politics, policy and law. During law school, Hardy worked at the Delaware Court of Chancery and saw firsthand how business contract disputes worked. Working at large international law firms as a young lawyer, Hardy went into corporate practice because he knew he wanted to work on business deals, he said. 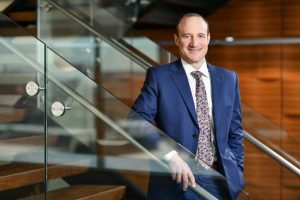 “As I moved up the ranks and into ‘first chair’ positions, I grew to really enjoy helping my clients develop a strategy (to) achieve business goals and then executing on that strategy,” Hardy said. As he helped more companies raise capital, Hardy established a network in private equity and worked with funds that invested in growth companies, Hardy said. “I really liked that type of client relationship, so it grew naturally and it now comprises a big part of my practice,” he said. Klaiber has been at the firm since 2012 and works in a niche area of law, handling aerospace, defense and government (ADG) mergers and acquisitions. When he graduated from law school, Klaiber thought he was going to be a tax lawyer. “I think it’s fairly common that someone’s practice gets shaped largely by the partners they are supporting early in their careers,” he said. For Klaiber, that exposure came from Bill Davidow, a Miles & Stockbridge attorney who handled many of the predominant aerospace, defense and government M&A transactions in the early 2000s. “Through Bill, I was exposed to this niche area very early in my career. Seeing the passion our clients had for our country and the national security mission, I was immediately drawn in, and I’ve focused a large part of my practice on M&A transactions in the ADG space ever since,” Klaiber said. Museles was always interested in a career in business and finance and decided on a career in law after hearing his older brother, a corporate and securities lawyer, talk about his deals. 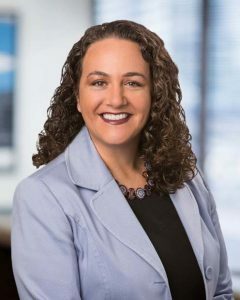 “Recognizing that a law degree would provide a professional services career path that had some degree of predictability, I chose the practice of law as both a means to pursue my interest in business, as well as somewhat of a “hedge” if I wanted a career as an attorney in private practice,” Museles said. 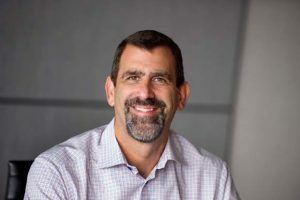 Museles has been at Shulman Rogers for 15 years and is able to “see and affect business through many lenses,” he said, including work with founders and entrepreneurs, boards of directors, institutional and high-net-worth investors, C-level executives, general counsels, regulators and professional service providers. Ritchie, who has been working at Miles & Stockbridge for more than 11 years, always knew she wanted to be a lawyer, she said, as she was “drawn to serving others.” She was attracted to a career in litigation after clerking for Court of Appeals Chief Judge Robert M. Bell and went for an opportunity in the Products Liability & Mass Torts Practice Group. St. Lawrence Thompson was initially drawn to a legal career, as she says, “by default,” as her mother insisted her children choose careers in medicine, computers or law. Her interest grew after college. 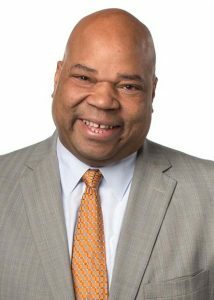 Before attending law school, St. Lawrence Thompson was an assistant manager of human resources and was able to see what investigators and lawyers did. “I could do a better job of investigating claims and advising clients how to prevent claims. Litigation was a natural choice for my competitive, analytical personality,” she said. How have you built your practice over the years? Stephanie Baron: I built my practice through hard work, tenacity, responsiveness and maintaining relationships. I grew up in Baltimore, earned my bachelor’s degree and J.D. from the University of Maryland and built my practice here. Some of my former colleagues are now clients. Once you’ve helped someone, it tends to lead to more work. Michael Brown: A lot of hard work and not taking the word “no” personally. For every hundred clients that I solicited for work, I may have gotten five. So I have literally asked hundreds of clients for work over the last 30 years. In addition, my practice grew substantially and significantly at Miles & Stockbridge. I will always be grateful to the firm for providing me with the resources and support to grow my practice. Scott Museles: I have built my practice by cultivating relationships. Hundreds of breakfasts, coffees, lunches, drinks and dinners. This is not “sales.” It is relationship-building. When you were starting out, who inspired you? Stephanie Baron: As a summer associate at Miles & Stockbridge, I loved working with and learning from Suzzanne Decker, who now co-leads our practice group. It was a natural step for me to continue working with her. Shortly after I joined the firm in 2004, I attended The Daily Record’s Leadership in Law event, where our then-practice group leader, Kathie Pontone, was being honored and I thought, “She is amazing and I want to do this.” Both women have played a key role in inspiring me and helping me to succeed. 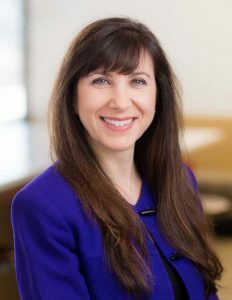 Dana Gloor: I was inspired by all of the smart, successful women I saw every day in law school and in practice — the women faculty at the University of Maryland School of Law, the women partners at the law firms where I was a summer associate and an associate, the women lawyers who generously gave their time and advice to law students — so many wonderful role models. I’m privileged to practice with several of them today and I am still in awe of them. Alicia Ritchie: I was honored to serve as a judicial law clerk to the Hon. Robert M. Bell, chief judge of the Court of Appeals of Maryland. He inspired me to be a great lawyer, a kind lawyer and a humble lawyer. And, above all, he showed me that no matter what you have achieved in your career, you still need to work hard and strive for excellence. Deborah St. Lawrence Thompson: When I started out, I was inspired by the choices and passions of Clarence Darrow and Susan B. Anthony. Mr. Darrow inspired me to think beyond the expected measures of success and to think outside the box for my career. Susan B. Anthony inspired me to hold to the goals and ambitions I set for myself as a black, female attorney with a foreign accent in private practice. No matter how difficult it became or how long it took, I took the long view and remained focused on the end game toward partnership. That said, there were several African-American attorneys after whom I modeled my practice: Michael A. Brown, Thurman Zollicoffer, Ava Lias Booker, Alan Cason and Michael Fitzhugh. Did you have mentors and/or sponsors who helped guide you and promote your career? How did they help you? Lauren Colton: I have been fortunate to have a number of mentors throughout my career and to be at a firm whose leadership places such a strong emphasis on professional development. Our firm’s CEO, Steve Immelt, was the managing partner of the Baltimore office when I joined and since then has taught me the importance of professional evolution. 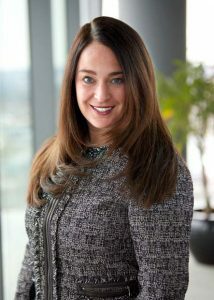 Dana Gloor: When I started practicing, I worked in the litigation department of a mid-sized firm in Baltimore. I was very fortunate that my department chair invested in teaching me and ensuring that I got good assignments and opportunities, including making partner after six years with the firm. A year and a half later, when I was recruited to become in-house counsel for one of our clients, he fully supported and helped me with that transition, even though it was definitely not in his personal interest to have that happen. He was, and still is, a great mentor to me. Matthew Gorra: I have had several mentors over the years, many of whom are my partners at DLA Piper or clients and they continue to provide advice, support and opportunities. I am grateful for their time and support. While I was an associate working my way up through the ranks, Sam Wellschlager taught me the value of poise and confidence and was instrumental in my elevation as a partner at DLA Piper. My outstanding assistant Lori Kasser keeps me organized, prepared and humble. Success is a team sport, and I’m enjoying the process of giving back and helping our younger lawyers develop skills and confidence and elevate themselves within the firm. Mike Hardy: As I moved into private practice, there was one client in particular (the general counsel of a large publicly traded company) who helped guide me with decisions about my career path, about what type of law I should practice given my interests. He even helped me with decisions about what firm to work for. I’ve also learned a lot from my colleagues along the way. Some of the fundamental disciplines about how to practice law were taught to me by my first boss. I teach those same habits to young lawyers I work with today. As I progressed in my career, partners and senior associates who I still consider friends taught me about how to develop clients and balance a family with the demands of a career. What do you think has made you successful in building and maintaining client relationships? Stephanie Baron: I strive to do good work and to be reliable and responsive in all that I do. I also work hard at maintaining relationships. Sometimes being the first person to answer the call or email is all it takes to get the work. Lauren Colton: I think three aspects are key. First, it is critical to be yourself. I remember early on in my career, I tried to behave like I thought clients wanted their lawyers to behave. I quickly learned that it’s critical to be genuine and to trust your instincts. Clients can tell when you are authentic. Second, I try to look for opportunities to make life easier for my clients. Rather than calling with an ask, I try to call with an offer. It is critical to look for ways to help clients even if there is not an ongoing active matter. I have found it’s important to have a steady presence with helpful offerings rather than waiting for clients to call with a problem. Additionally, I am always available. This leads to a trust and the knowledge that you can always be counted upon. Finally, the saying that “there is strength in numbers” is very true. When I go to see a client, I try to bring others from different practice areas, as well as junior lawyers (all off the clock, of course!). I think this is helpful because it shows clients the breadth of our practice, provides them an opportunity to think outside of the narrow issue at hand and also increases the touchpoints with the firm. Dana Gloor: I work really hard to make my clients’ lives easier, rather than harder. I care about them as people and I make sure to show it, not only in the work I do but in how I treat them. Matt Klaiber: One of the greatest compliments I get from clients is when they tell me that they view me not only as their lawyer but also their partner, as it’s apparent to them that I care about their business as if it’s my own. Scott Museles: My clients know that I share the hopes and dreams they have for their businesses. They appreciate that I am invested in their success and that I add value beyond the legal work. When a deal closes or a project is successfully completed, I am as thrilled as they are. What advice would you give junior lawyers about how to build their practice? Michael Brown: I would say don’t take the word “no” personally. One of the biggest restrictions on lawyers getting legal work is their fear of rejection. Like most clients (whom you ask for work), they already have lawyers in place. It’s like asking a married person to marry you. So you cannot expect to get a “yes” in most circumstances. That is why you have to keep seeking many different client opportunities, maintain contact with the clients you are soliciting, and make sure they know you are available when the opportunity arises to do their work. Lauren Colton: (D)o not hesitate to ask questions and rely on more senior lawyers for guidance. Asking questions shows initiative, curiosity and interest, not weakness. 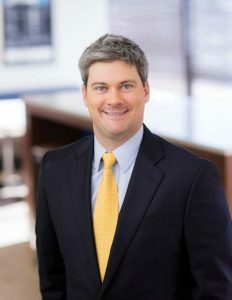 Matt Gorra: In addition to honing their skills and expanding their experience base, I recommend that they explore opportunities outside their day-to-day work for clients to connect with other lawyers, business people and members of our community. This may involve writing articles, joining a bar committee or business networking group, attending conferences, volunteering or joining the board of a nonprofit organization. In order to be hired, you have to be known as someone who is smart, solutions-oriented and reliable — you can expand your profile in the business community by leveraging opportunities to reach a broader audience. Alicia Ritchie: There is no substitute for hard work. Good work begets more work. Also, start building your network with law school friends and keep in touch with them. They may become clients or good referral sources. 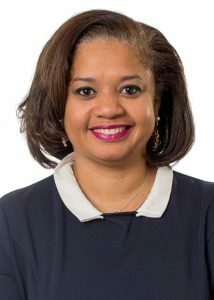 Deborah St. Lawrence Thompson: As a junior lawyer, your first client(s) are the senior associates and partners with whom you work. Outside of the firm, building your name and brand is key, so become active in a legal organization, write articles and attend committee meetings. What gets you out of bed in the morning – what do you really love about your work? Michael Brown: Every day we are alive is a gift. Literally hundreds of thousands of people die every day. Every day is another opportunity to be happy. The thing I love the most about my work is the people on my team and in my firm. We work together for common goals. Every one of us busts our butts and those relationships are by far the best part of my work. Matt Gorra: I draw the most satisfaction from my work when I’m in the heat of negotiations on a transaction — understanding the issues between the parties, working with our client(s) to formulate a strategy and thinking on my feet. It’s as close to a “game day” scenario that a former athlete can get as a transactional lawyer. I thrive on it. Mike Hardy: On a day-to-day basis, finding creative solutions in terms of deal structure is always interesting; the negotiating that I get to do energizes me; and every fund investment and business that I work with is different, so I’m always learning something new. Matt Klaiber: My clients. To me, practicing law has never been about billable hours. It’s about developing meaningful relationships with clients and then helping them in every way humanly possible to achieve their stated goals. When you develop those kinds of relationships, work no longer feels like work; you’re supporting your friends and their families, and that’s what gets me excited and keeps me grinding.